After you have picked up your framed artwork, Framagraphic Picture Framing and Print Gallery is happy to help you with everything from packing and shipping to installing. Complimentary packaging for shipping your frame is available. It should be noted, however, that many shipping companies will not send an item with glass, and if they do, a number of extra fees may be levied. For frames that will be shipped, we strongly suggest substituting acrylic for glass, as acrylic will not break. It has the same clarity as glass, as well as the option of UV protection or non-glare. 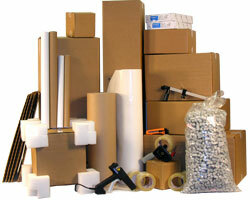 We are also able to recommend a number of white glove shipping services. Delivery for oversized pieces can always be arranged, and we are happy to provide assistance with installation. We are equipped with all the necessary tools for hanging. Frames can sometimes be intimidating because of their fragility and delicacy. If you are uncertain about how you should hang your frame, ship your frame, or handle your frame, we are more than happy to answer your questions. Do I have to hang my frame? No. You can always simply lean your frame against a wall, or another hard surface. If you have stored more than one frame against each other, just be sure to lay the frames face-to-face or back-to-back. If you lean the frames face-to-back, you risk the chance of the back screws and wires of one frame scratching the face of the other. Luckily, we do frame repairs. Do I use bubble wrap to ship a frame? It depends! You can use bubble wrap if there will be other objects in the package with the frame, but if you are shipping a frame with acrylic (and not glass), you can simply wrap the frame tightly with a thick layer of cardboard. No. You really only have to stretch a canvas to display it properly. A frame adds a minimal amount of protection, and it is mostly an aesthetic decision.